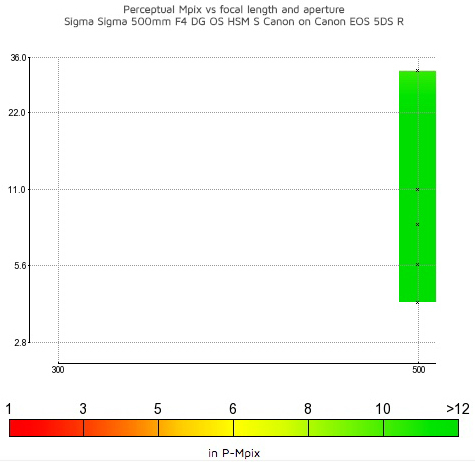 The lens features the large f/4 maximum aperture desirable for achieving fast shutter speeds; Sigma’s 4-stop image stabilizer (OS) for shake-free images of relatively static subjects, using shutter speeds as slow as 1/30 of a second; and Sigma’s hypersonic autofocus motor (HSM) for responsive AF performance. A focus limiter switch, as well as focus recall controls, help improve focusing performance for photographers shooting in fast-paced environments. Manual focus override is possible in standard AF mode, as well as when using the dedicated MO (Manual Override) mode during continuous autofocus. The Sigma 500mm f/4’s lens design boasts a dust- and splash-proof magnesium alloy barrel for assured use in all weather. As with all large-aperture, super-telephoto lenses, the Sigma 500mm f/4 is big and heavy, measuring 380mm in length and weighing 3.3Kg. 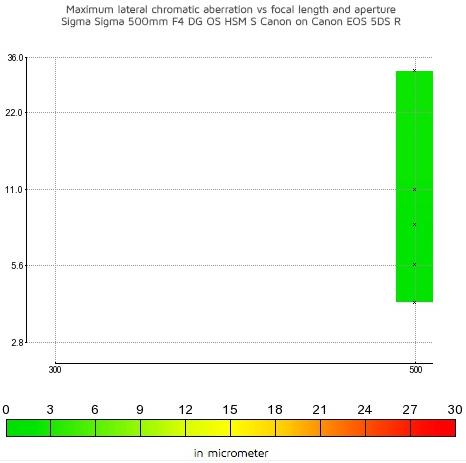 Optical construction utilizes 16 elements in 11 groups, including Extra Low Dispersion (ELD), Special Low Dispersion (SLD) and two “F” Low Dispersion (FLD) elements, to help improve image quality. The 500mm f/4 is also compatible with Sigma’s 1.4x and 2.0x teleconverters to extend the focal length to 700mm f/5.6 (1.4x teleconverter), or to 1000mm f/8 (2.0x). The latter facilitates autofocus on Canon DSLRs that autofocus at f/8, such as the 1D X Mark II. On the 50.6Mp 5DS R, the Canon 500mm f/4 super telephoto realizes a little more of the sensor’s resolution potential, scoring 31 P-Mpix compared to 29 P-Mpix for the Sigma. 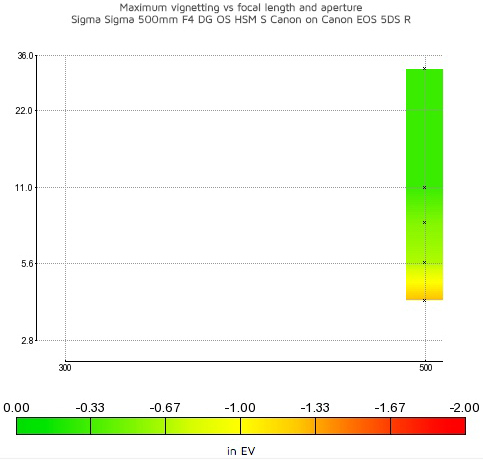 This is a result of fractionally sharper images shooting at f/4, which could be important for wildlife photographers after super high-resolution images for high-quality prints; but again, the scores are very close, and resolution between f/5.6 and f/11 is identical. Big, heavy, and expensive, a 500mm f/4 super telephoto is truly the preserve of the professional or extremely serious wildlife and sports photographer who requires plenty of reach, a fast aperture, and super-sharp results. As such, there are only a few such lenses available, but Sigma’s third-party 500mm f/4 gives photographers an alternative to Canon’s own-brand option. 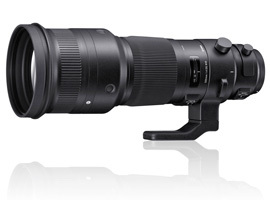 The Sigma 500mm f/4 comes equipped with the advanced features the pros demand to enhance performance, including a focus limiter, focus recall buttons, image stabilizer, large lens hood and tripod collar for mounting to a monopod and quickly switching between vertical and horizontal shooting positions. In terms of image quality, the Sigma 500mm f/4 is excellent, delivering high levels of uniform resolution on all the professional full-frame EOS 5DS R, 1D X Mark II, and 5D Mark IV DSLRs, with no geometric distortion nor problematic chromatic aberration to worry about. There’s some vignetting at the maximum f/4 aperture, but at around –1EV, this isn’t overly concerning and corner shading is virtually eliminated from f/5.6. 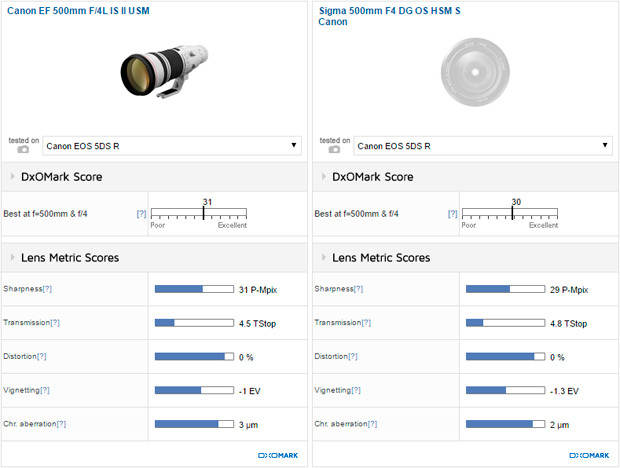 Head-to-head against the Canon EF 500 f/4L IS II USM, the Sigma 500mm f/4’s image quality compares very favorably. The Canon lens is fractionally sharper on the 5DS R, but the Sigma offers a modest improvement in resolution on the 1D X Mark II and 5D Mark IV. To be fair, there’s very little to separate them in real-world terms on any of these DSLRs, however, making the Sigma 500mm f/4 a great value option. For greater insight into the performance of alternatives to the Sigma 500mm f/4, please see our EOS 5DS R, EOS 5D Mark IV, and EOS 1Dx Mark II best lenses reviews, as well as our Canon 400mm f/4 individual lens review.